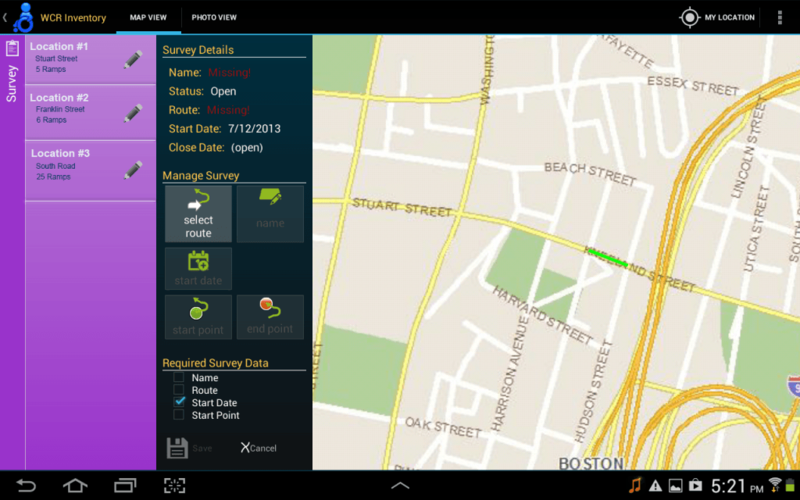 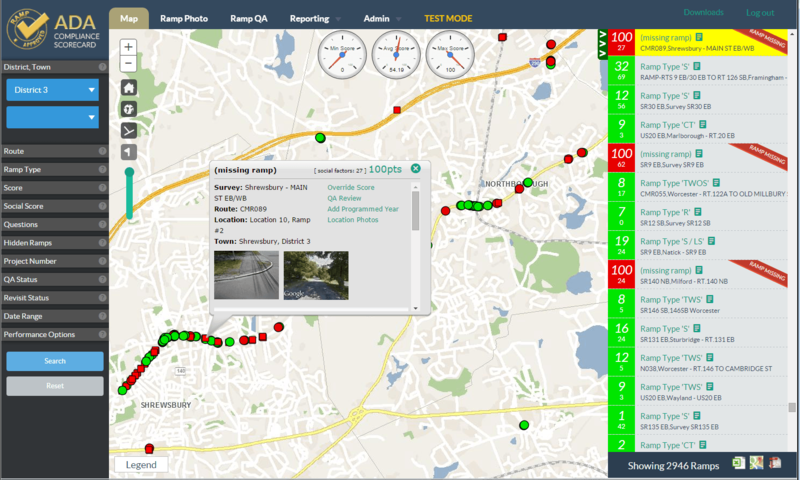 Along with our sister company, BSC Group, Geonetics was engaged by MassDOT to design and build a full stack, mobile field data collection system to support the inventory of curb ramps throughout the Commonwealth. 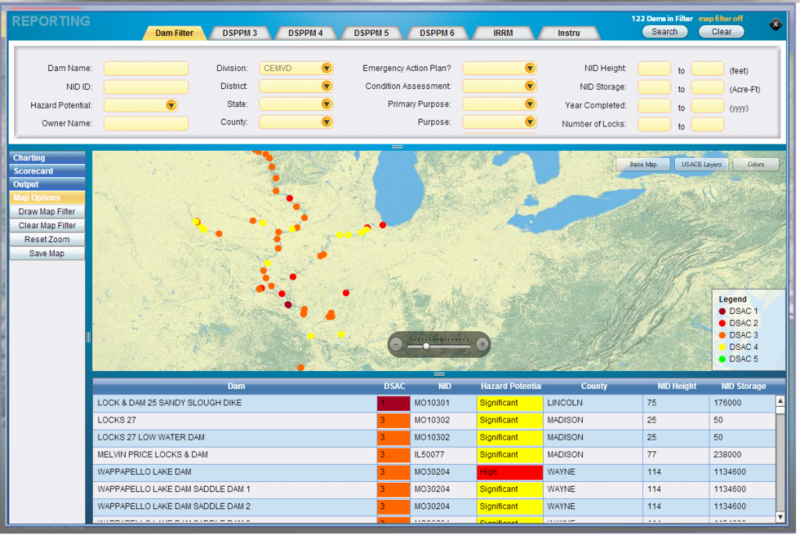 To date, data has been collected on over 8000 miles of jurisdictional roads and at over 30,000 ramp locations. 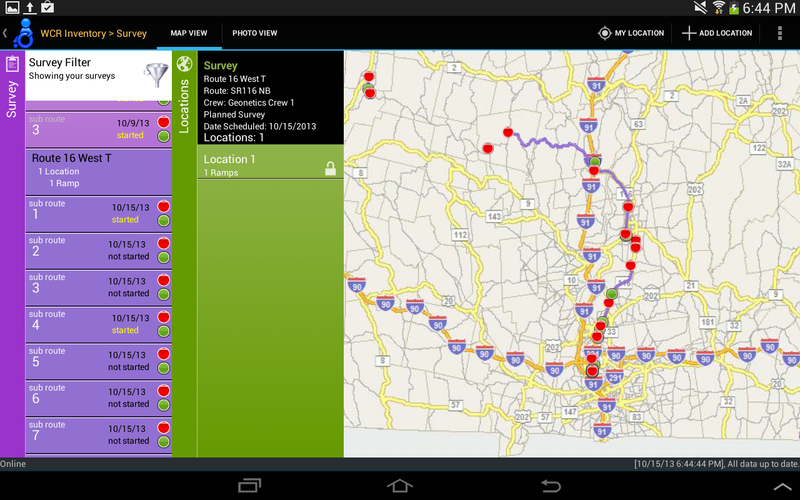 The system included a custom, android tablet application integrated with ArcGIS Server for maps and with a custom cloud based application server to process and store data from multiple field crews. 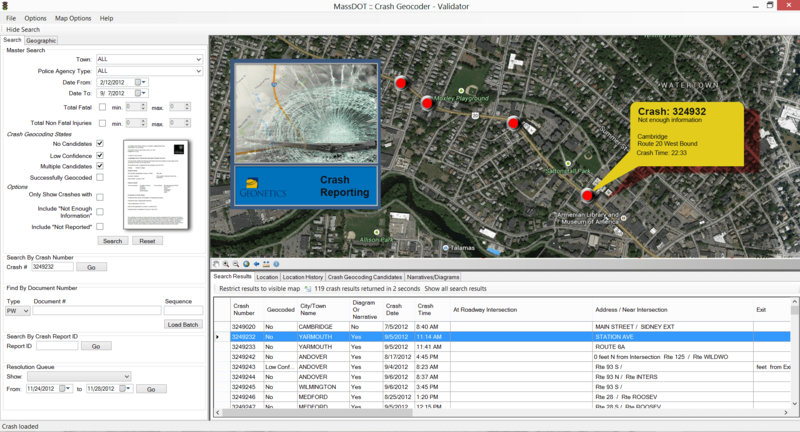 Designed and developed a custom user interface for automated and semi-automated resolution of crash locations from operator and police automobile crash reports. 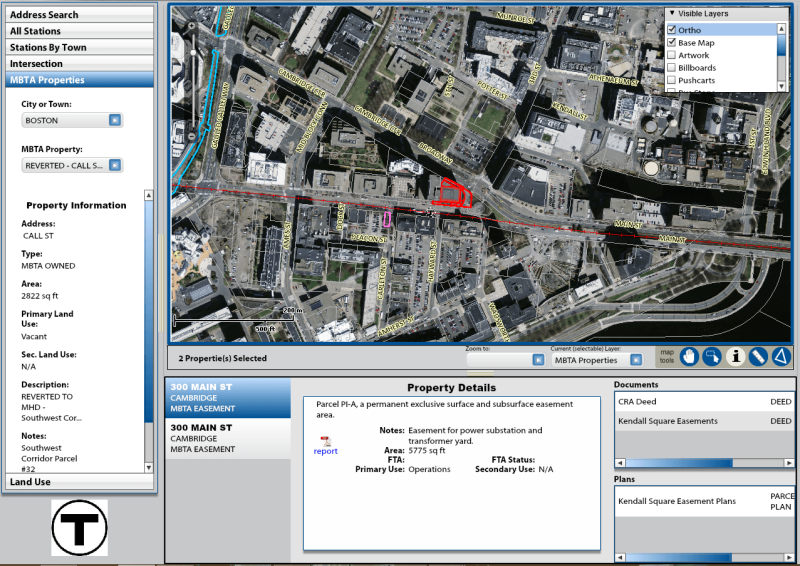 This custom solution integrated with the client's GIS and linear referencing solution and provide standardized validation of crashes that could not be located to a point on a map.